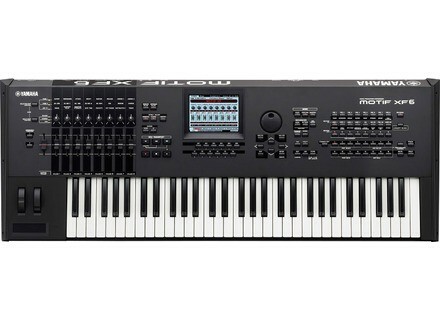 MOTIF XF6, Workstation from Yamaha in the MOTIF series. Yamaha announces the v1.4 update for the Motif FX firmware, which adds compatibility with the Steinberg CMC controllers. Visit usa.yamaha.com for more information. [NAMM][VIDEO] Moog Sub Phatty video demo The Moog Sub Phatty was evidently on our NAMM 2013 must-see list, and the Moog team kindly welcomed us with for special presentation.